If you’re wondering what to do in Vancouver on a rainy day or summer heat wave, head to an indoor playground. While these spaces can be a little chaotic for adults, children love them. If you’re looking for some kid friendly Vancouver fun they’re a great choice because they’re pretty much always open, they facilitate active play and you don’t have to worry about the weather. 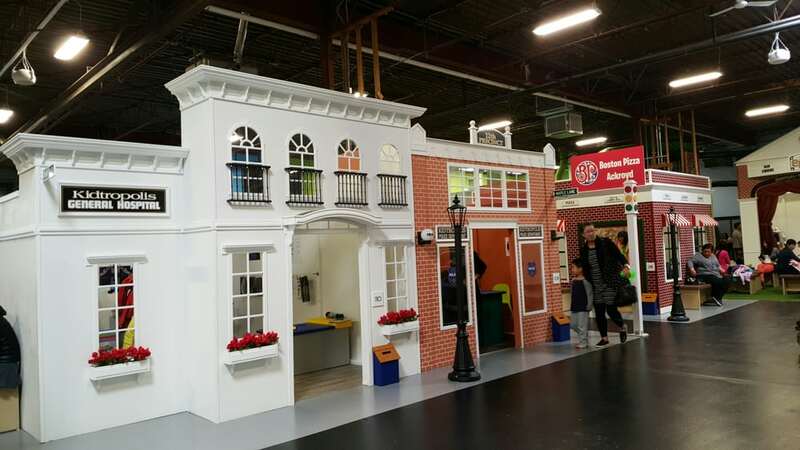 If you’re on the hunt for a great indoor playground, here are a few suggestions. Located inside the Kids Market on Granville Island, the multi-level play structure and a giant ball pit is the big draw for kids and provides hours of entertainment. But that’s not all! There’s an old school arcade, and now the iFloor, interactive playground for tech obsessed kids who want to play soccer or hockey. 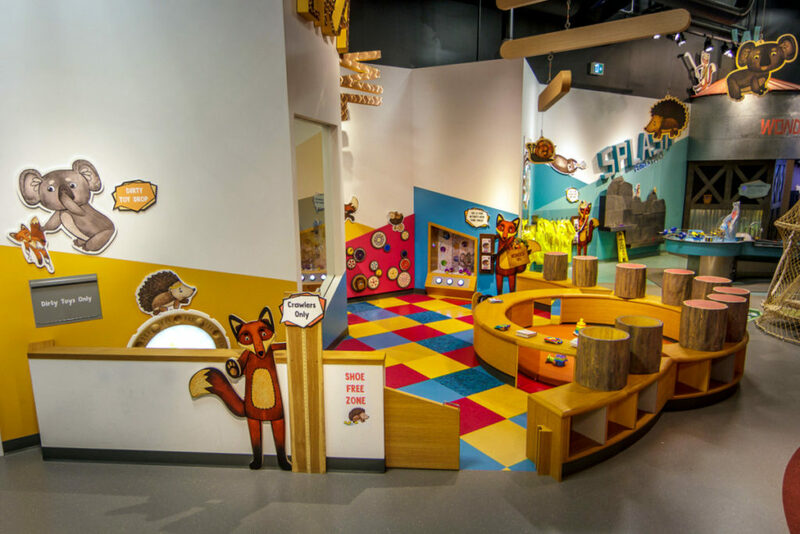 If you’ve got under 5s, you’ll definitely want to check out Science World’s brand new gallery, which was created exclusively for early learners, ages 0–5 and their caregivers! Boom! 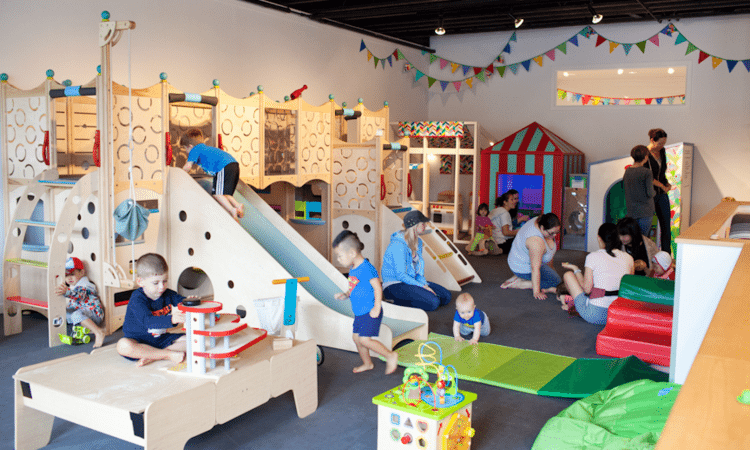 This interactive play zone boasts 3,300 square feet for babies, toddlers, preschoolers and kiddies to crawl, splash, build, climb, play with light, and experiment. Child development experts collaborated in the creation of Wonder to help design a place where children can learn through play. With locations in North Vancouver, Richmond and Langley, Go Bananas offers lots of kid-friendly Vancouver fun all across the region. 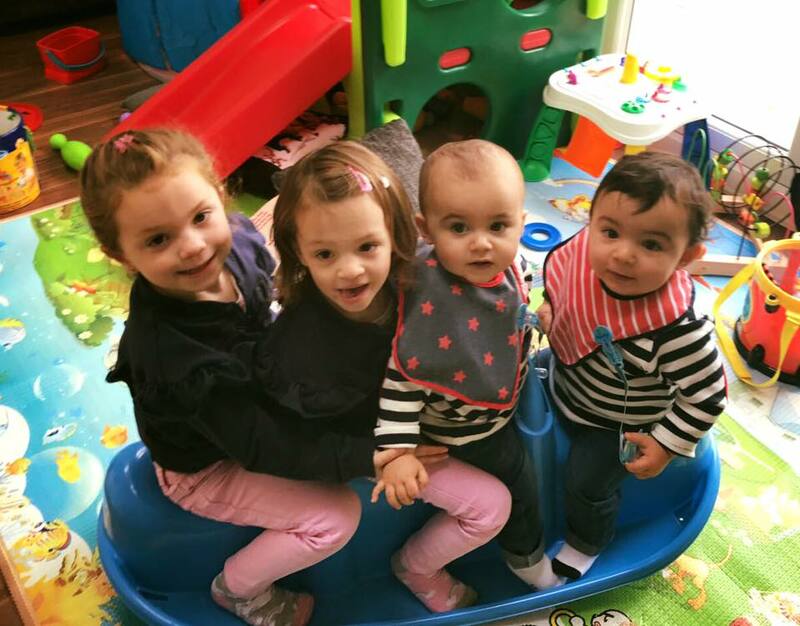 For more than 15 years they’ve been providing fun and safe indoor play to kids aged 12 months – 12 years old. They have a multi-level play structure as well as concession. The Richmond and Langley locations have free wifi, and the North Vancouver location offers a drop-and-shop service where you can leave your kids age four and up to play while you spend an hour of kid-free time in Capilano Mall. Great for kids 5 and under, Circus Play Cafe boasts a beautiful playscape with slides, little castles, and many toys. It’s also a cafe, so you can check your child in, get some nice snacks and coffee, and watch them go. It’s worth noting that socks are required for small people in the playscape, and they don’t allow outside food other than baby food and formula. Save time by creating an account online first. 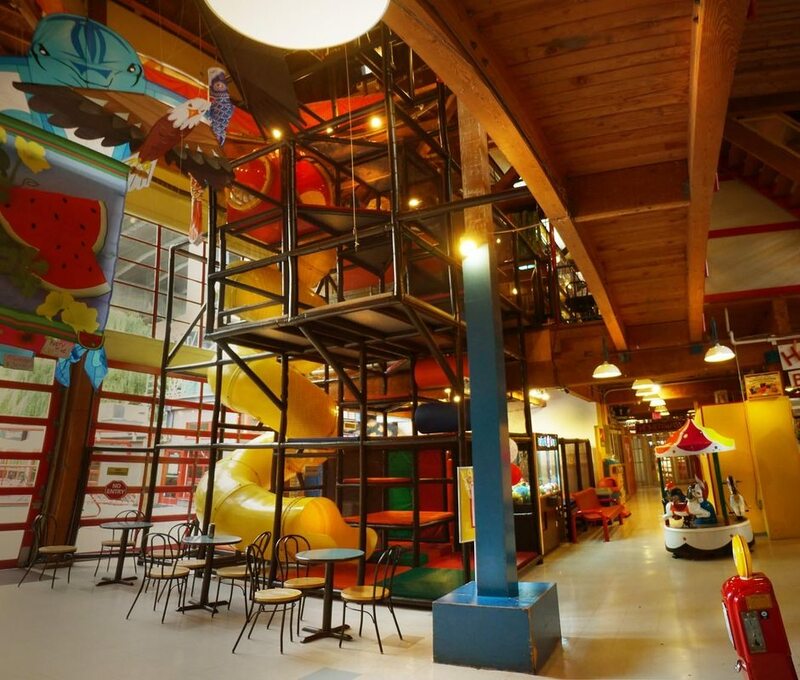 Located in Port Moody, Koko’s is a classic indoor playground catering to families in Vancouver’s northeast suburbs. There’s a multi-level play structure, a cafe, free wifi, a toddler area, kiddie rides and a parents’ lounge featuring magazines and satellite TV. They bill themselves as a place for people aged three months to 99 years, although they cater mainly to the under-12 crowd. You can easily spend a whole day there, enjoying the parents’ lounge while your kids play. Just be warned that those kiddie rides all require tokens, and those tokens can add up really quickly! Port Coquitlam parents rave about this place. Energetic jumping beans can get their yayas out here on a rainy day. Not only is it full of fun things to slide down, climb up and jump off, but in the summer, there’s an outdoor inflatables bounce zone every day weather permitting. 6Pack is an indoor beach in Richmond, which offers a Little Diggers’ drop-in Monday-Friday, from 10:00 am-5:00 pm. Kids 10 and under can run free and enjoy the largest indoor sandbox in the city. There’s no need to worry about cold, wet weather – or, for that matter, sun protection. You can relax and chat with other parents while your kids play. If the regular drop-in times don’t work for you, you can always call 6Pack and see if there’s space for you to visit any day. 12 rainy day activities for under $10! Oh good to know, we’ll check that one out! Only one of those five places is in Vancouver! This should be updated 🙂 There is also Kidtrpolis in Richmond! Updated with Kidtropolis. Thanks for the heads up! New one in Richmond! Kidz Etc. Learn & Play Cafe in Garden City Shopping Centre.